We handle everything for you! The appraising, staging, advertising, staffing, pricing for the sale and clean up. We work hard for you and pride ourselves in making our clients happy. We treat your home with care and compassion. We utilize all available markets, including social media to advertise your sale. We are a licensed and fully insured company. We have over 15 years experience and it shows with our professional expertise in selling antiques, gold, silver, jewelry, art, furniture, vehicles and collectibles and more. An organized sale geared to maximize profits! We always conduct our sales with respect for you and your home. 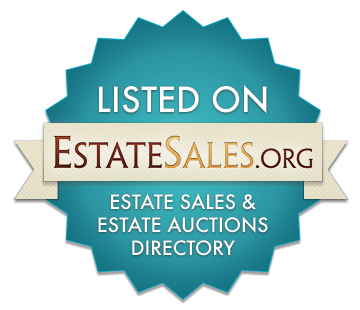 buyouts, salvage services, organizing/decluttering and consignment. Our business is built on referrals and it is important that we exceed your expectations. We recognize that when choosing Blue Barn Estate Sales you have entrusted us with your sale and are relying on us to be respectful, understanding, honest, hardworking and knowledgeable. We always conduct our business in this manner as well as with integrity and the highest of standards.